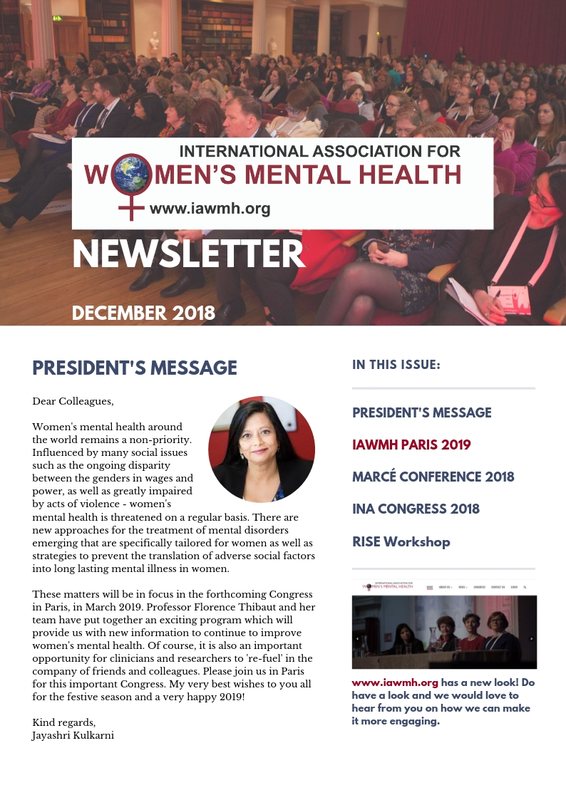 To create a network of national and international societies and sections (hereinafter called “Societies and Sections”), devoted to mental health of women. The social, economic, ethical, legal, cultural, psychological and biological factors, which affect Women’s Mental Health. Women’s roles in marriage, family and society, and the effects on mental health. The causes, effects and elimination of domestic violence and abuse of women. The causes, treatment and prevention of mental diseases or disorders that are specific, more prevalent, more severe or have different risk factors or outcomes in women. Basic sciences pertinent to gender difference and female biology. The elimination of conditions that are harmful to Women’s Physical and Mental Health. Improved education and autonomy for women. Better medical education and public information about Women’s Mental Health. Increasing the number, status, education and resources of Women’s Mental Health providers. Control by women of their personal fertility. Promotion of research through the development of international networks and focused workshops. The organization of World Congresses, to which all individuals, Societies and Sections concerned with Women’s Mental Health are invited. The support of international, regional, national and local conferences and symposia, for Exchange of information about scientific advances, clinical services, and social or legal developments related to Women’s Mental Health (hereinafter called “meetings”). Circulation of information about Women’s Mental Health, through the World Wide Web, through the Association’s co-sponsored journal, Archives of Women’s Mental Health, and other publications. Education of clinicians and the public through educational workshops as well as printed and electronic material.